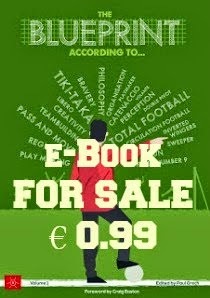 It was somewhat inevitable that, with two German teams in the Champions League final, we would be bombarded by articles on how German football managed to transform itself from one sliding towards mediocrity to the undisputed force in European football. And so it should be because the turnaround that has been witnessed in Germany is nothing short of phenomenal. Yet there should be a limit to this infatuation because, if past experience is anything to go by then it risks getting out of hand. It is far too easy to see a system that is working and think that it is something that should be copied. Which is where mistakes happen. England is a prime example of this. When France won the World Cup in 1998, it was put forward as the example to follow along with the need to build an English equivalent to Clairefontaine. Then, when Spanish football was winning everything in sight, everyone suddenly wanted to replicate what Barcelona were doing at La Masia. You can rest assured that the envious glances at what the Germans are doing well have already started. Indeed, you shouldn't stop with football. Why has British cycling been so successful over the past ten years? And what of Jamaican sprinting and Kenyan running? How come New Zealand produce so many fantastic rugby players? Everywhere you look you will find ideas that can be adapted to your situation. With a strong emphasis on 'adapted'. Because simply trying to copy what others are doing will never work. Analyse your own situation and use what you have learned from others to come up with your own way of working. Otherwise, you will always end up chasing shadows. 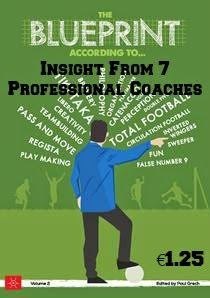 Join Blueprint for Football Extra for free to get more articles like this one.